Intended for women suffering from premenstrual syndrome (PMS). Chasterberry has been shown to reduce irritability, anxiety, mood swings and breast tenderness associated with PMS, in many clinical studies. 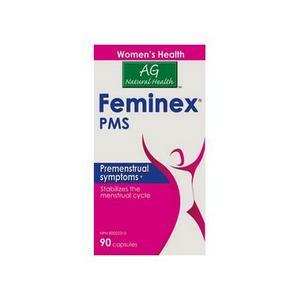 Note: Feminex PMS should be taken throughout the cycle to effectively relieve PMS symptoms in the pre-menstrual days.